I do not fly often; but when I do, I find it best to just take a carry-on. Carrying too much baggage takes away the joy of traveling. It can also switch your temperament from pleasant to irritable in a heartbeat. You might arrive at baggage claim and find that instead of claiming your baggage, the baggage claims your time and your patience as you wait for the airlines to deliver it to your destination. Leave the stuff behind. Do not let your baggage claim you. A rich man asked Jesus what he had to do to enter into the kingdom of God. Jesus said, “It is easier for a camel to go through the eye of a needle than for someone who is rich to enter the kingdom of God.” It is thought that the eye of the needle may refer to a small gate in Jerusalem that was used after the main gate was closed at night. The only way a camel could pass through was if the baggage he was carrying was removed. If it was not, the camel could not enter. The kingdom of God is yours! Enter freely, unencumbered. Do not let your baggage claim you. 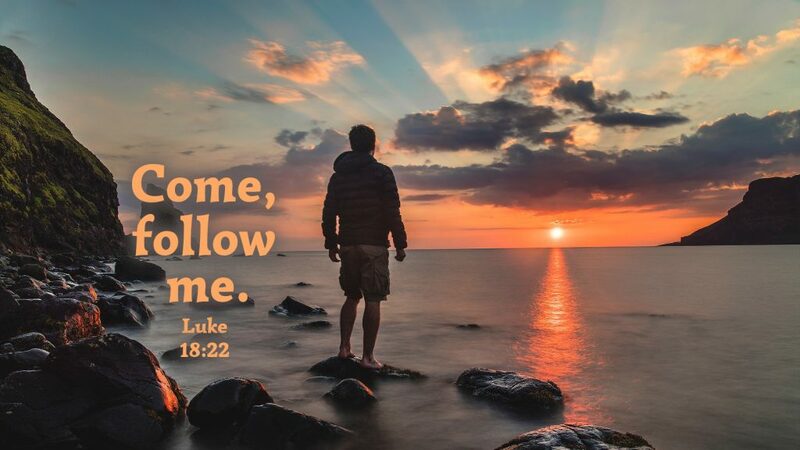 Prayer: O God, help us to set aside our baggage so that we might enter through the narrow gate as we follow in the footsteps of Jesus Christ, our Lord. Amen.